He is the Rhodes scholar who nearly wasn’t. Last year, Nithum Thain thought he was too old to apply for a 2010 Rhodes Scholarship, so he almost didn’t. It turns out that the 24-year-old Mathematics PhD candidate actually had almost a year to spare, but his misunderstanding of the age eligibility requirement for the world’s most prestigious academic scholarship caused him to miss McGill’s mid-September deadline for receiving its endorsement. At the last minute, the Kingston, Ont., resident received an endorsement from Queen’s University, where he completed his undergraduate degree in Math in 2006. Thain has been a McGillian ever since. He completed a Master’s of Science (Mathematics) in 2008, scoring a perfect 4.0 GPA along the way, a standard he has maintained two years into his PhD. But leave them he will – at least for a little while. Come next fall, Thain will be at Oxford pursuing an MPhil in Economics. One of only 11 Canadian students to be awarded a Rhodes scholarship this year, Thain is no stranger to academic awards and achievements. 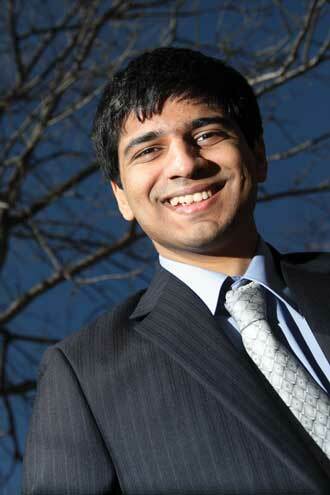 In 2008, he won the prestigious NSERC Canada Graduate Scholarship. Two years earlier, in 2006, he won the NSERC Julie Payette Scholarship for being one of the Top 25 science graduates in Canada. Thain is no slouch in Athletics either. A one-time captain of the fencing team at Queen’s, where he won two provincial gold medals, Thain won the Quebec provincial Savate kickboxing championships in 2008 after only one year of training in the sport. But even the normally high-spirited Thain was reduced to stunned silence by the phone call that came later that day. Thain, whose current research interests include machine learning, game theory, epilepsy prediction and market competition, hopes to spend time working for a social business like the Grameen Bank after finishing at Oxford.